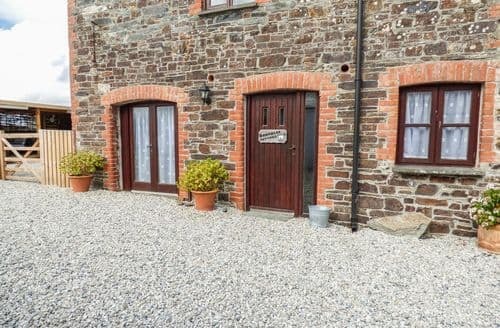 What our customers are saying about our Holiday Cottages In Boyton To Rent. 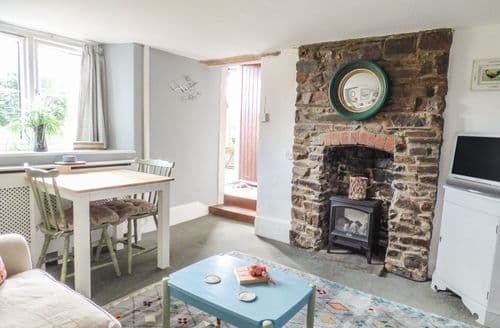 "As we were the first visitors in the cottage it was all bright spanking new and squeaky clean which was great.This did however result in a couple of very minor issues which were promptly rectified by Ian with his magic screwdriver. We found both Ian and Monica really helpful, enthusiastic and genuinely keen to get feedback but without being pushy. Monica's welcome pack of home produce went down a treat, as did the complimentary bottle of wine. 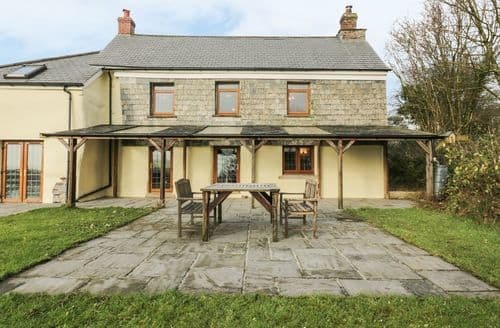 We think that the layout of the cottage and adjacent farmhouse (also for let) with an adjoining door would be great for larger groups, we never heard a squeak out of our neighbours on our stay, and the view over to the northern hills of Bodmin Moor were something to admire, especially with snow on them. Seven miles from Launceston deep in the Cornish countryside the area is so peaceful and relaxing. We would go back again without hesitation. We wish Monica and Ian much success with their new venture. Jill & John G"
"Of course this cottage exceeded our expectations by far, is within the farm in a very quiet envairoment, the house is very spacious, everything was very clean and organized, full of facilities, board games, movies, local products in the kitchen for our delight and our pets and everything you need to turn on the fireplace. Very nice and cosy rooms as well as the living room and the dining room, undoubtedly the best are the views from the large garden that emulate a picture of Van Gogh. Although much better are the landlords, Ian and Monica, that they go out of their way to make everything more enjoyable, even they gave us a tour throught their farm, always with a smile on their face. We only have been there for three days but we are looking forwards to go for longer. It is the perfect place to disconnect from the routine and find your self back with nature. Sincerelly, 100% recomended!" "This did however result in a couple of very minor issues which were promptly rectified by Ian with his magic screwdriver. We found both Ian and Monica really helpful, enthusiastic and genuinely keen to get feedback but without being pushy. Monica's welcome pack of home produce went down a treat, as did the complimentary bottle of wine. 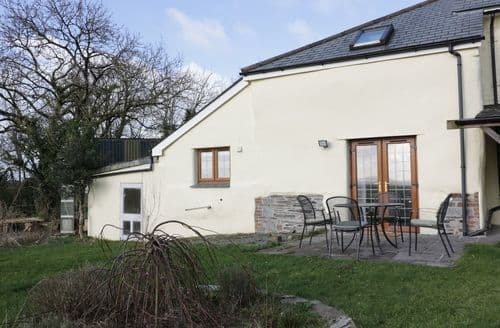 We think that the layout of the cottage and adjacent farmhouse (also for let) with an adjoining door would be great for larger groups, we never heard a squeak out of our neighbours on our stay, and the view over to the northern hills of Bodmin Moor were something to admire, especially with snow on them. Seven miles from Launceston deep in the Cornish countryside the area is so peaceful and relaxing. We would go back again without hesitation. We wish Monica and Ian much success with their new venture. Jill & John G"
"The owners Ian and Monica were brilliant hosts who pitched their approach perfectly. We particularly appreciated the host of goodies which were provided by them. Home made scones, clotted cream, jam, the list goes on and on. An invitation to look over the farm and see the animals was taken up and their enthusiasm and care was obvious. There were no children in our party but we were enchanted and I’m sure anybody would enjoy this aspect of their visit. A couple of other things, the view from the patio is lovely and the roses and flowers all around added to the charming atmosphere. Friends who live locally visited and they said “ you look as though you belong here” and that is just what we thought too." "Stayed at Langdon Holiday Cottages a few times now. 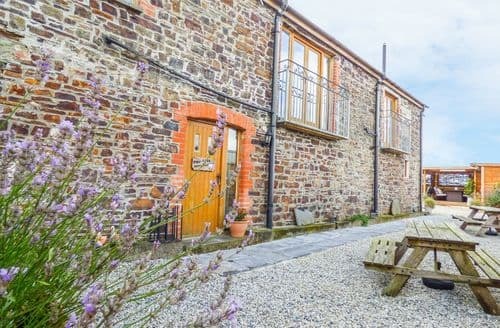 Four lovely cottages, each different... small well equipped shop and laundry, shared outside covered area for sitting enjoying a drink/game with your neighbours or each cottage has its own little outside area. Hosts are very friendly and happy to help with anything. They have four lovely friendly dogs but don’t worry if you’re wary, they’re not loose. 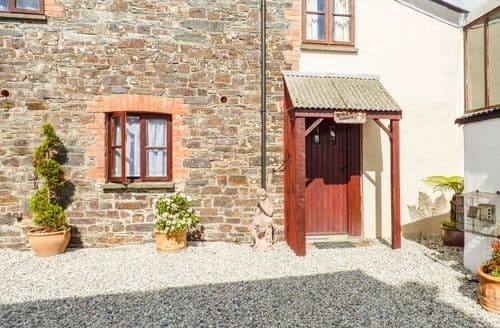 A great base for exploring Cornwall.Absolutely loved our little cosy cottage. Everything was thought of and it made our stay so comfortable. The owners are extremely friendly and helpful. Will definetly return for another stay."